"'I didn't see him!' Drivers always say that. But the mirrors are great chunky things. 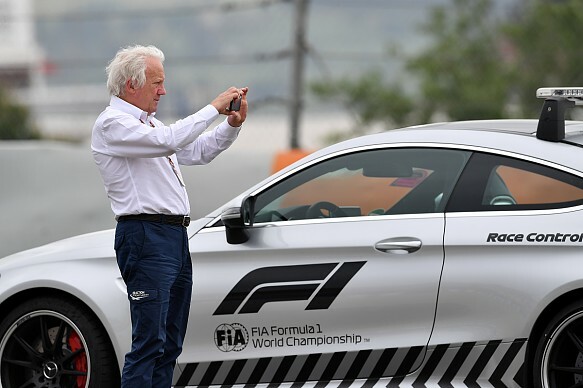 Anyway, drivers have got peripheral vision; if you haven't, then there's actually something wrong with your eyes..."
Charlie Whiting is motorsport's poacher turned gamekeeper. 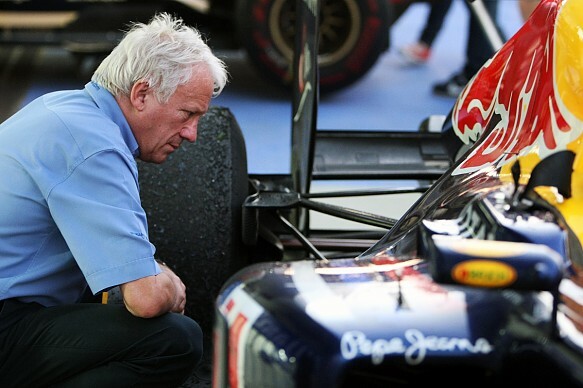 A former mechanic who helped put F1 cars together, Charlie is now the race director who ensures that they start safely and run exactly as they should from a technical and sporting point of view. Although instantly recognisable at the race track, he has maintained a low profile off it. 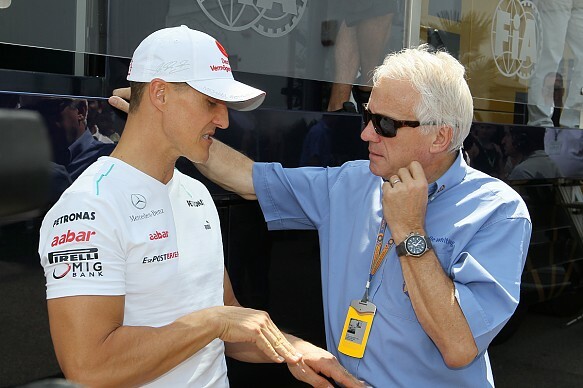 Maurice Hamilton: I hate to remind you, Charlie, but it's now 30 years ago last October that Nelson Piquet won the title in one of your cars. 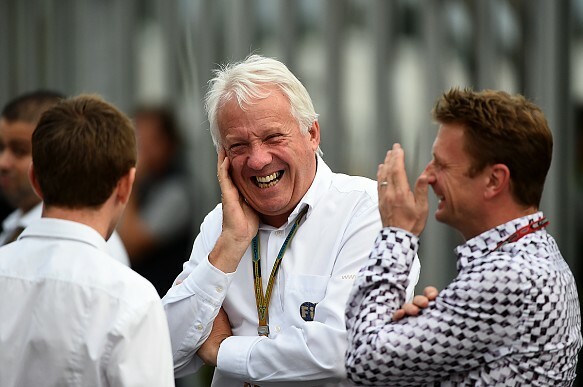 Charlie Whiting: It's a dreadful thought. Not Nelson winning, of course - but it doesn't seem like 30 years ago. MH: I was there in Vegas that weekend and I clearly remember you standing on the pitwall to see if Nelson was going to make it to the end of the last lap. I remember writing that your face lived up to your name that day; you were as white as a sheet. CW: That day in Vegas is still quite vivid. It wasn't an easy race. Nelson was hanging on in fifth place with a one-point lead in the championship. He was completely finished. Even Jonesy [Alan Jones], who was leading the race, had his head hanging out of the car. MH: The whole season was coming down to this one race and you could lose it within another lap or two because his lap times had gone right off and someone was catching him. And what a weird place to hold a race - effectively a car park round the back of Caesars Palace Hotel. How did you get to being in Las Vegas as a mechanic for the Brabham F1 team? CW: I lived in West Kingsdown, a little village that's close to Brands Hatch. Dad was a farmer and my brother, Nick, was very interested in cars. Nick started his own little garage at the age of about 17; he was quite enterprising. I was well into cars and followed Formula 1 as best I could back in the days when you'd struggle to find anything about it in the newspapers. When the British Grand Prix - actually it was called the European Grand Prix then - came to Brands for the first time in 1964, I dutifully sneaked over the fence, as you do, to watch the race. That was it for me; I just wanted to be involved in Formula 1 after that. Then in 1968, my brother started doing a little bit of autocross and rallycross and I was helping him prepare his cars; I was about 14 at the time. I learned an awful lot from Nick. After I finished school, I just wanted to work on cars but my Mum wouldn't let me; she said I needed an education. I did five years at a polytechnic and came away with a Higher National Diploma in mechanical engineering. Then, much to my Mum's disgust, I went to work in a garage. I continued doing Nick's cars for him. CW: Yes, he used to race these Ford Escorts with big engines. They were brilliant cars. Then, in 1976, Nick did a deal with John Webb [of Brands Hatch] to run Divina Galica in an old Surtees TS16. We ran that in '76 and a TS19 in '77 and at the end of that year I went off to work in F1. MH: So what happened? Did you get a call from someone? Was there an advert? CW: Divina [Galica] got a drive in F1 at Hesketh. That didn't last very long. She didn't qualify and then I think we ran Eddie Cheever for one race and Derek Daly for another. After the Belgian Grand Prix, Hesketh folded. 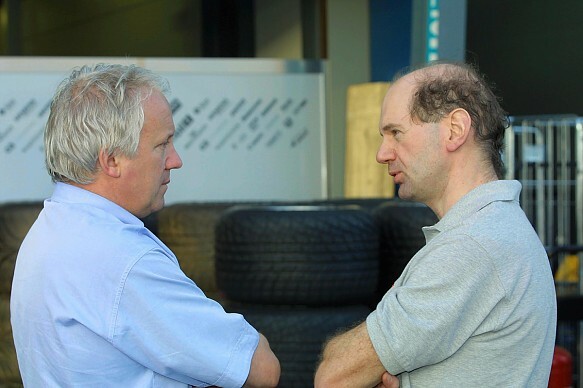 Beaky Sims, who was the team manager, told me that Herbie [Blash, team manager at Brabham] was looking for someone. I went for a chat. They wanted a number three mechanic on the T-car, and I was that man. MH: So that was right at the bottom of the pile? CW: Yes. 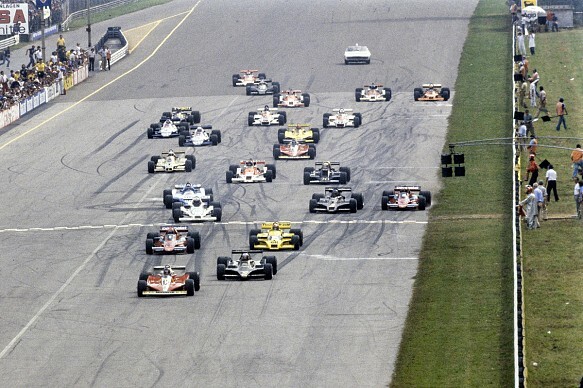 That was in 1978 with the Brabham BT46 and the flat-12 Alfa engine. It was a lovely car - we won a few races with it. In '79, I was put onto Niki Lauda's car, which, by then, was a BT48 with the V12 engine; not a very good car. MH: It pumped out a lot of oil, I seem to recall. CW: Among other things! Towards the latter part of '79, Bernie [Ecclestone, owner of Brabham] decided to get rid of the Alfas. We built the BT49, which was a wonderful little car with a DFV in it; very easy to work on. I remember testing at Mallory Park and Thruxton and it was stupendously quick. 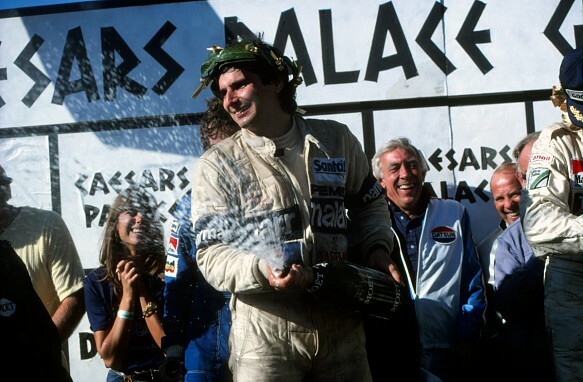 Nelson [Piquet, who had replaced John Watson] loved it. I'd built this BT49 for Niki for the Canadian Grand Prix. He went out, did one practice session and came back in and said the rev-counter wasn't working. I fixed that, ready for the next session. Where's Niki? His bag and helmet were on the pit counter. But he'd gone; retired! I didn't see him again for five years. In 1980, I was the number one mechanic on Nelson's car; we came close to winning the championship that year. 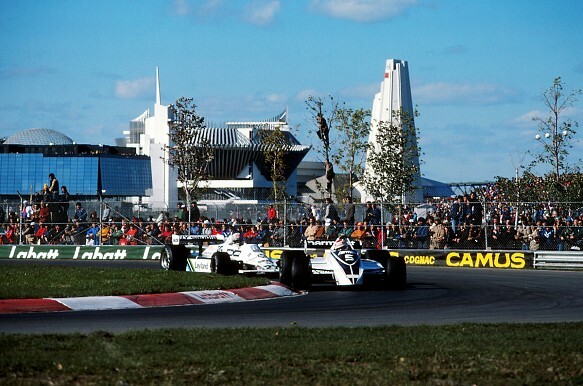 He won his first race in Long Beach but then Jonesy took Nelson off at the first corner in Canada, the penultimate race, and we had take the restart in his T-car [which was permitted in 1980]. Nelson was disappearing in the lead but then the engine blew up after about half distance. MH: What was the story with the engine in that car? Was it a quali engine that shouldn't have been there? Can you remember? CW: That's what I understood. I think we'd got a fairly special engine from Cosworth for qualifying; I wasn't involved deeply in the engines in those days. It was a different engine and the decision was taken not to change it on Saturday night - but suddenly we had to use it and it didn't last the race. MH: Today, with all the checks and procedures and so on, that sort of thing would never happen, would it? The engine would simply be changed as a matter of routine. CW: Absolutely. It wouldn't be an issue. 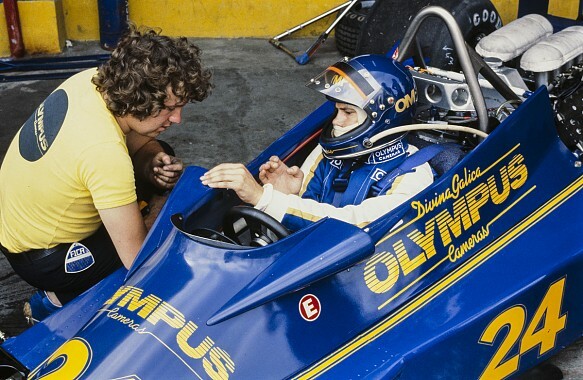 Anyway, in 1981, I was made chief mechanic up until '85 when I was promoted to race engineer on Riccardo Patrese's car. CW: Bernie was finding there was too much of a conflict of interest between the FIA - or FISA as it was then - and the teams, so he gave up. He offered to keep me on, doing whatever he could find for me. It was his idea that I could perhaps work for FISA. Having been on one side of the fence, he thought I'd perhaps be good at catching the buggers from the other side! That's how it all started. When Max Mosley became FIA president at the end of 1991, he promoted me to technical delegate. My next milestone was '96 when I was given the job of starting the races. In '97, I became race director. MH: So, given your background, you knew exactly how it all worked, how the mechanics worked, how the designers worked, how the drivers thought. But as you gradually worked your way up, did you feel it becoming an onerous responsibility? CW: I came in at ground level. As things evolved, we had a few big issues arising in the early 1990s with fuel, for example, and then with the active suspension. We had some fairly big fights on our hands. Then it all became far more complicated, so I had to bring in a few experts. In 1994 there was the traction-control saga and then, of course, the whole business with Ayrton's death at Imola and all the changes that were needed as a consequence of that. We needed to get more and more specialised in a number of fields to try to keep pace with the technology. MH: But that's very hard for you, because you are dealing with some of the best brains in the world and it's just you guys. You must have to get up very early in the morning to stay ahead? CW: The biggest weapon in our arsenal is deterrent. A mistake is one thing, but if there seems to be a deliberate attempt at cheating, the consequences could be significant - as we saw with the Toyota rally car [in 1995, Toyota were banned from the WRC for 12 months for using an illegal air restrictor], which, in total, meant two years out of the business for them. MH: But these guys are going to work right up to the edge of the regs, aren't they? So, when they come to you with a proposal, I know you don't pass judgement, but what can you do? CW: We give them our opinion. They'll come to us with a scheme and say, "What do you think about that?" and we'll say, "Yeah that should be okay." Of course, strictly speaking, I can't say whether it is or not. Ultimately, it's up to the stewards. But if an interpretation is needed, we can offer a view that, 99 times out of 100, does turn out to be the definitive view. CW: The double diffuser was just that. We thought it was legal; it was quite a clever loophole. If we see a so-called loophole, we will always try to close it; we will try to think of an argument to stop it. But it's difficult to actually stop it because the rules are the rules. However, whatever interpretation we try to put on it, it's sometimes not quite enough. More difficult, though, is seeing where it might lead. If you're not an aerodynamicist, you're unlikely to know. MH: You've got to be a jack of all trades in many ways. You've got to know a bit about aerodynamics; a bit about all sorts. CW: You don't need to know too much about aerodynamics as such. Bodywork rules are normally about dimensions, that sort of thing. I've not got any great interest in what flow patterns there are or what all these vortices look like or what they do because if it complies with the rules, then that's fair enough. The difficulty we tend to have is in knowing how far they can go. If you say 'yes' to a little slot here, what's to stop them from doing something that goes round and round and then ducts the air through somewhere else that we just wouldn't think of? Nor, in fairness, would the teams necessarily think of it themselves in the beginning, but that's how things tend to snowball and so we do get caught out sometimes. MH: There's a lot of money at stake for the teams, so they must get quite passionate if you rule against them? Sometimes you must think the world hates you. How do you cope? CW: It's difficult sometimes when you feel a bit sorry for someone who's developed something, but you have to say 'no'. Teams try to pull the wool over your eyes, of course, but you have to try to see through it. I'm not suggesting for one second I manage it every time, but it can be difficult to see exactly why they want to do something; why it's absolutely necessary to have a certain thing on the car. MH: They often are! But that's the name of the game, isn't it? This is the business we're in. It's a deeply competitive game at every level - particularly yours. CW: Unbelievably so. And just as much on the sporting side. We've only talked about technical matters so far, but it's equally competitive - possibly more competitive - on the sporting side in the races. All sorts of comments and accusations fly around when, say, a driver cuts a chicane. Did he gain an advantage? They say: "We're sure he did this. We're sure he did that." You check - and, no, he didn't. We're forever checking things and very often they don't turn out to be true after all. CW: I think I'm a bit biased because I consider DRS to be my baby. I think it works exceptionally well. There were a few places where it didn't work well enough - Melbourne was one - purely because the length of the straight wasn't sufficient. What we want to do is make it so that the driver still has to work hard; we don't want to make it easy. 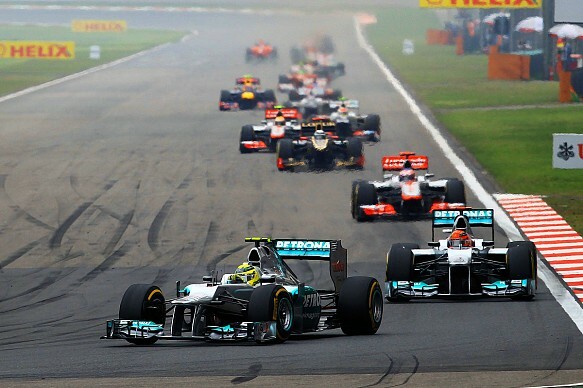 In China, we could have had it over the whole straight but it would have been really tedious. We've got to try to make it a little bit better. There are a lot of things to consider when you actually analyse it; things like the comparative speed of the cars at the beginning of a sector. You need to see if the guy would have passed anyway without the DRS. You also have the differences between the efficiency of the DRS on one car compared to another. Obviously, as always, the whole setup of a car is a compromise, and some teams go towards the slightly more optimum qualifying performance. If you're a team expecting to qualify at the front, you might do something different to a team who know they are going to qualify at the back. So we've got to look at all those factors. You can't say DRS didn't work there, because it may have worked for some, but not everyone, just because of how the teams have set up DRS and the car. Overall, I think it has been a success. It got everybody talking and provided a lot more overtaking. It did result in more accidents, but that's going to happen; when guys try to overtake, sometimes they do hit each other. If it hadn't been that close, then they wouldn't have hit each other: that's obvious. I don't think it's anything that's been remotely dangerous. MH: Have the drivers had to realign their judgment in a way? CW: The most refreshing thing about 2011 was that it was clear drivers hadn't forgotten how to race. In fact, it was clear that they love it. You could be forgiven for thinking that they'd forgotten how to do it because it used to be much more difficult. MH: On the subject of racing, can you clarify the rule change regarding the number of moves a driver is now allowed to make? CW: You saw the business with Michael and Lewis in Monza, where Michael would go into Ascari, move left to defend his position, Lewis would go to the right, then Michael, coming up to the corner, would move back to the right to take his line. It's been an unwritten rule that if you're going to move back, you should always leave room for the car to your right. So, you could say: "Once you've moved, you can't move back." But, if a driver did move to the left and then moved slightly right - just slightly right - there'd always be someone who'd say: "He moved twice!" So you've got to leave enough space for one to pass if he can and, equally importantly, if a driver moves back in front of another one and that car is a bit late on the brakes, you've got potential for nose-to-wheel contact and flying cars. I think Michael was right on the limit. Now we've made it a written rule, but it hasn't really changed anything. CW: "I didn't see him!" Drivers always say that. MH: I sympathise with that a little bit because you surely can't see much from the cockpit these days? There are blind spots with the head protection and the little mirrors. CW: I dispute that because the mirrors have got bigger over the years; they are chunky great things; you look at how small they used to be. If you can't see what's in these mirrors, you should put them in a better place. It's a standard excuse. He must have known the other driver was there or thereabouts. Anyway, drivers have got peripheral vision; if you haven't, then there's actually something wrong with your eyes. MH: Talking about seeing everything, how did you feel when you were first asked to start a race? There must be so much to take on board. CW: When Max Mosley asked me, I said I'd love to do it. I was very nervous before the first one, which was Melbourne in 1996 when Martin Brundle had that big shunt on the first lap. In those days, we stopped the race rather than use the Safety Car. So I had to start the race twice! I'm not suggesting I'm not nervous now, because it's a moment of high tension for everyone and there are lots of things to think about. You have to programme the lights; you've got to know exactly what to do within a split second if something happens. There are so many different scenarios; hardly a race goes by without something coming up that you haven't seen before. You have to be aware of what's going on. I don't know how many races I've started now - it must be over 250 - but it's definitely not routine. You still get an adrenaline rush. MH: I was at Monza in 1978, when Ronnie Peterson had that terrible accident. The press tribune was then in the main grandstand, directly behind the starter's rostrum. In those days they would get a local bloke to turn on the green lights. And this guy was clearly intimidated by Gilles Villeneuve in the Ferrari, sitting on the front row, looking up at the starter and blipping the throttle. He presses the button and, of course, the back half of the field haven't reached their grid slots. Those guys - well, most of them - see the green lights come on and they floor the throttle while they're still moving forward. No wonder there was chaos at the point where the big wide track hit the bottleneck before the first chicane. CW: It's unthinkable now that that could ever have happened. The drivers come out onto the grid and they all have their routines so perfectly worked out now; they know exactly how long they're going to have to wait, how hot the car has got to be when they get there and they're forever doing clutch bites and burnouts; it's all so precise. 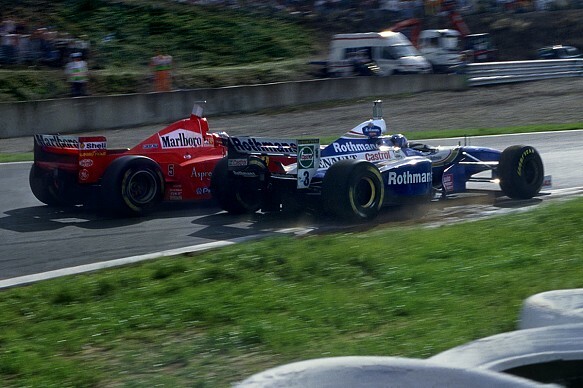 But obviously things do still go wrong, although cars don't stall on the grids nearly as much these days. The drivers at the front know that if they streak away and they then have to sit on the grid for a minute and a half, it's their own silly fault. So now they get their burnouts done and their tyre temperatures right and normally 45 seconds at the most is the longest they will ever have to wait. MH: During 'Spygate' and all that, there was this 'FIA means Ferrari International Assistance' stuff doing the rounds. How did you feel when people said the FIA was favouring Ferrari? What can you do to show you're actually neutral? CW: I don't know what more we can do. I think if anyone has got that in their brain, then there is no shifting it, frankly. But I can say, hand on heart, that has never been the case - and nor will it ever be. I know it's not the case, so I'm perfectly comfortable with that. It's completely ludicrous, but I can see why people might sometimes put three things together and say it means the FIA is biased towards Ferrari. But we never went out of our way to do anything special for Ferrari and nor should we. We've tried to be as even-handed as possible. And if we're not, then I think the whole thing would collapse. The trust would disappear. We have to make sure we do our best to maintain that trust. CW: Again, I can say hand on heart that has never happened; never during a race and never during any stewards' enquiry. The closest I've seen Max come to saying anything was after Jerez in 1997 [when Michael Schumacher drove into the side of Jacques Villeneuve as they disputed the final round of the championship]. Max was in the control tower - not in the stewards' room or Race Control - and he said to the chief steward something along the lines of: "So, a small investigation now?" And the steward said: "No, it was a racing incident." Max left it at that. It had been a question, not an instruction. And nothing did happen at that race. MH: Was Max good to work with? CW: Very much so. He was a very good decision maker; very clear about which direction to go. He understood racing and he was very good technically as well. MH: When you go to the races, you're always there before most of us. I've seen you walking around the track. In Abu Dhabi, on Thursday afternoon, I saw you standing down at the last corner on your own, looking up the straight. CW: Final inspection is on a Thursday; it's a traditional thing more than anything else. Most of the work has already been done; I'll have been round the track on the Wednesday. It's good to have a final look and remind yourself of the detail. In Abu Dhabi, I was probably looking at the pit entry line; we'd made a couple of changes to the last two corners with additional artificial grass. You check things such as kerbs and bollards on corners once it's all done. You check places where drivers might try to cut chicanes and decide what deterrents you need to put in place to make it slower if they try a short cut. MH: What about Korea in 2010 for example? By the time you got there it was done and only then could you see the effect of the walls being too close at the final corners. People were saying: "For goodness sake, what were they thinking of, allowing this?" CW: Exactly. Generally speaking, it doesn't happen very much. I've usually got an answer for most of the questions that emerge because it is detailed work. There is an awful lot of work even before I visit a circuit. I went to Delhi six times to make sure there wasn't a repetition of Korea; I only went twice before the 2010 Korean event. I should have gone an extra once or twice. Not that it would have made that much difference because the work was so late; it wasn't really finished. I'd say 2011 was a lot better. MH: You must work 24/7. Do you get a holiday? MH: But you work through the winter with the sporting and technical regs; that's a lot of pages. CW: It is, but you don't rewrite the whole thing every year. You're just adjusting them. I chair all the technical and sporting working group meetings. That's when we decide the new rules and discuss different ways of doing things. That keeps me well up to speed with everything. MH: Do you enjoy it? CW: Definitely. I still enjoy the racing. Okay, you're not there to sit and actually enjoy the racing - the two primary objectives are to make sure it is done fairly and safely - but it doesn't stop you appreciating it. Sometimes you get wrapped up in various things and you can't actually see what's happening from the racing point of view. 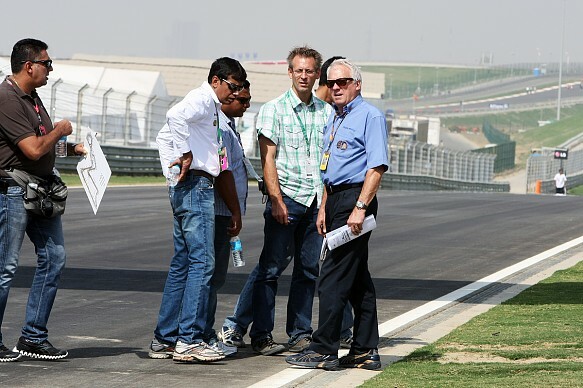 We have all sorts of systems and people who alert us to what's going on at various different parts of the circuit. We've got a very good flow of information. MH: Do you have camera angles covering virtually everything? CW: That's a bit hit-and-miss sometimes because we have to rely on the host broadcaster. What we've got are CCTV cameras - there are about 30 of them around the track - and we have pictures of every bit of track that we can adjust and zoom in on. We've got four or five pit cameras of our own covering the entry and exit and there are ten on-board cameras at all times; we won't always have the right one on the right car at the right time, but the chances are you'll get what you need. In 2011, we started what we call the Race Incident System. Using GPS, which we have on all the cars, this system knows what an incident is. So, if the Safety Car is out and the system sees two cars pass, it will flag up 'possible overtaking under Safety Car'. It will then automatically find every image there is of the two cars involved. This saves you having to trawl though the cameras and find the incidents. If we decide there is, in fact, an incident then the whole thing is sent to the stewards' room and they will have everything. All the images will be ready to go. In the past, I would call the stewards and say: "I think this car overtook that one behind the Safety Car on lap 32," and they would then have to check every camera on that lap and try and find the incident. MH: Has it been good having an ex-Formula 1 driver on board? CW: Yes. Very good. It has improved the credibility of some decisions although, of course, not everyone will agree with everything they say. There will always be differences of opinion. MH: I think it's funny, for instance, that Jonesy should be on the panel given that he, um, squeezed Nelson at the start in Montreal in 1980. But that's why it works; he's been there and done it - so to speak. CW: A bit like me, really! Which reminds me, I've got a technical meeting in a few minutes, so I have to go. Thanks for lunch. MH: No problem, Charlie. Thanks for the chat. I'll see you in another pitlane somewhere.